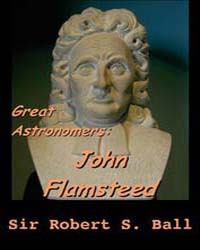 Description: John Flamsteed (1646-1719) was an English astronomer, a contemporary of Isaac Newton, and the first Astronomer Royal in charge of the newly built observatory at Greenwich, England (1676). Although he made no great discoveries nor new astronomical theories, Flamsteed distinguished himself by his meticulous measurements of the positions of stars, as Tycho Brahe did with observations of the planets. He also made improvements to astronomical techniques and some observations of the moon and sun. 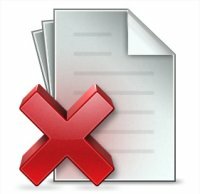 Over 40 years, Flamsteed accumulated position data on over 2900 stars and tediously reduced it to a form usable by astronomers, but he refused to publish his star catalog until he was confident that the data was accurate and verified. This evoked the ire of Isaac Newton, who was then president of the Royal Society, the highest scientific body in England at that time. In 1712, Newton and Edmund Halley pirated the data and published it without Flamsteed's consent. Flamsteed burned as many copies of the unauthorized catalog as he could gather. His own star catalog was published posthumously by his wife in 1725. This eBook is a chapter from Great Astronomers by Sir Richard Stawell Ball (1907) plus information from A Short History of Astronomy by Arthur Berry (1910).